Android KitKat is the first new major Android release since Jelly Bean 4.1. There are so many changes and new features that it's hard to list all of them. It's a release focused on optimizations, immersive interfaces and support for new hardware. 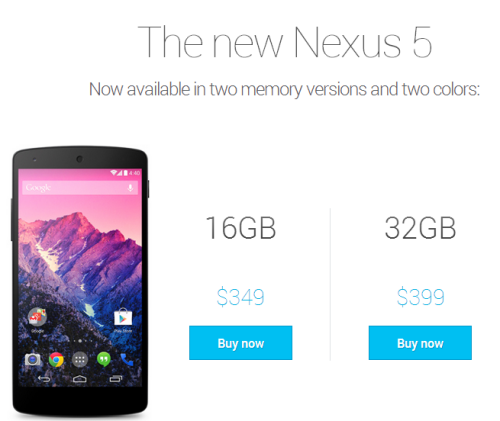 There's also a new device that showcases the new features: Nexus 5. RAM is always an important issue when it comes to mobile devices, especially if they run Android. High-end phones and tablets now have 2GB or 3GB of RAM, but many low-end devices only have 512MB of RAM and they still need to provide a decent experience. One of the main KitKat goals is to run well on devices with 512 MB of RAM. "Changes across the system improve memory management and reduce memory footprint. Core system processes are trimmed to use less heap, and they now more aggressively protect system memory from apps consuming large amounts of RAM." Most US carriers block Google Wallet and Google wanted to address this. "Android 4.4 introduces new platform support for secure NFC-based transactions through Host Card Emulation (HCE), for payments, loyalty programs, card access, transit passes, and other custom services. 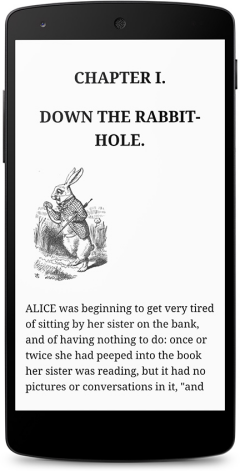 With HCE, any app on an Android device can emulate an NFC smart card, letting users tap to initiate transactions with an app of their choice - no provisioned secure element (SE) in the device is needed." If this works properly, Google Wallet's adoption problems could be solved. 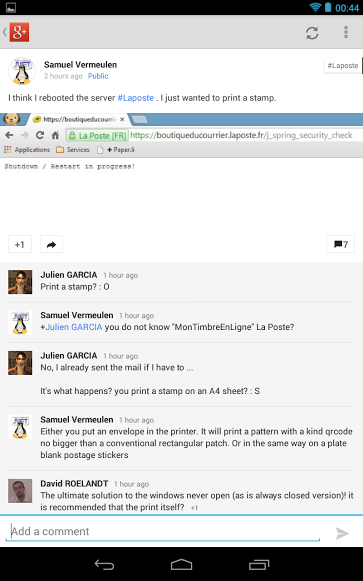 Android 4.4 introduces native support for printing. "Android apps can now print any type of content over Wi-Fi or cloud-hosted services such as Google Cloud Print. In print-enabled apps, users can discover available printers, change paper sizes, choose specific pages to print, and print almost any kind of document, image, or file." 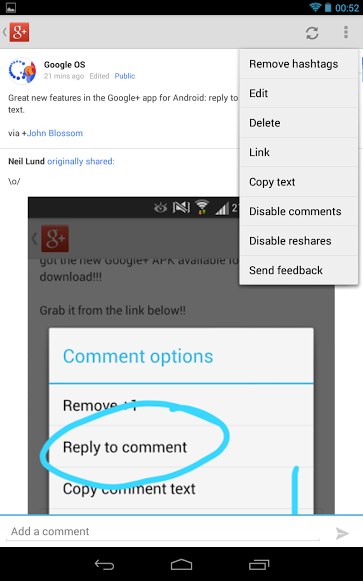 There's also an API that does for file pickers what the sharing buttons do for sending data. 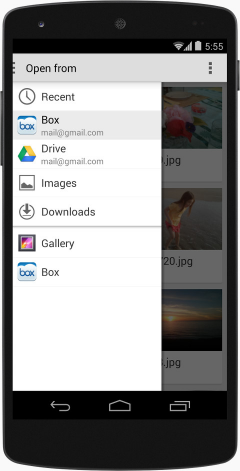 When you want to select a file to open it in your favorite app, Android 4.4 can show an interface that lets you pick a file from both local sources and cloud storage services. "A new storage access framework makes it simple for users to browse and open documents, images, and other files across all of their their preferred document storage providers. A standard, easy-to-use UI lets users browse files and access recents in a consistent way across apps and providers." Android KitKat focuses a lot on improving battery life. "With sensor batching, Android works with the device hardware to collect and deliver sensor events efficiently in batches, rather than individually as they are detected. This lets the device's application processor remain in a low-power idle state until batches are delivered." You can also listen to more music. "Audio tunneling can dramatically improve battery life for use-cases such as listening to music over a headset with the screen off. For example, with audio tunneling, Nexus 5 offers a total off-network audio playback time of up to 60 hours, an increase of over 50% over non-tunneled audio." 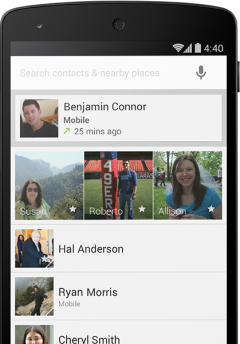 There's a completely new phone app that shows the people you call often. "You can also search for nearby places and businesses, your contacts, or people in your Google Apps domain. Whenever you get a call from a phone number not in your contacts, your phone will look for matches from businesses with a local listing on Google Maps." 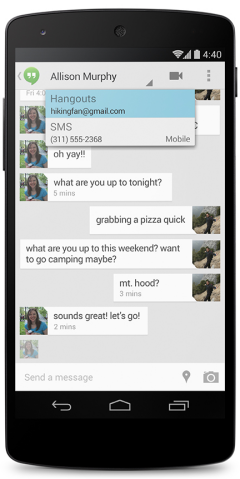 The features of the Messages app have been added to the Hangouts app, which now allows you to send SMS and MMS, while also displaying the messages you receive. The main goal of Hangouts was to provide a unified communication service and it's almost there. Google Voice integration will probably have to wait until next year. Immersive mode, fullscreen apps. You can call them however you like. For those who found Chrome's fullscreen mode useful, they're in for a treat: there's an upgraded version in Android KitKat. "The book you're reading, the game you're playing, or the movie you're watching — now all of these take center stage with the new immersive mode, which automatically hides everything except what you really want to see. Just swipe the edge of the screen to bring back your status bar and navigation buttons." Android has a new animation framework for transitions, which was inspired by Apple's Keynote app. For an almost-immersive experience, apps can use new window styles to request translucent system bars. Android's icons from the system bars are white, they're no longer blue. When you're playing music, Android shows full-screen album art on the lockscreen. You can also say "ok Google" to use Google Voice Search directly from the lockscreen. Google Now cards are one swipe away from the homescreen: just swipe to the right. The Chrome engine powers the embedded WebViews used by apps, there's a screen recording utility and there's native support for DASH (adaptive streaming). Android 4.4 brings support for IR blasters and two new Bluetooth profiles. "Bluetooth HID over GATT (HOGP) gives apps a low-latency link with low-power peripheral devices such as mice, joysticks, and keyboards. Bluetooth MAP lets your apps exchange messages with a nearby device, for example an automotive terminal for handsfree use or another mobile device." There's also support for composite sensors: step detector and step counter. 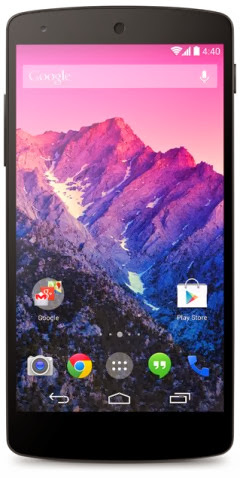 The first Android device that runs KitKat is Nexus 5, a 5-inch phone manufactured by LG. It's lighter and thinner than Nexus 4, even though it has a bigger Full HD display. With a powerful SoC (Snapdragon 800), an improved 8MP camera with optical image stabilization, dual-band WiFI a/b/g/n/ac, LTE and a new look and feel inspired by the new Nexus 7, Google's new phone is one of the best devices you can buy. "Nexus 5 is available today, unlocked and without a contract, on Google Play in the U.S., Canada, U.K., Australia, France, Germany, Spain, Italy, Japan and Korea (and coming soon to India), starting at $349," informs Google. You can choose between 4 versions: 16GB/32GB, white/black. The 32GB versions cost $399. 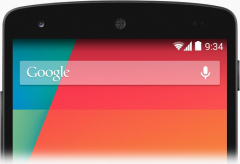 Android 4.4 updates for Nexus 4, 7, 10 will be available in the coming weeks. Galaxy Nexus won't get the update because it "falls outside of the 18-month update window when Google and others traditionally update devices." You might remember "Google in Your Language", the Google feature that allowed you to translate Google services. It was a great way to help Google support new languages, but you could also use it to find new Google features. It looks like the translation console will be back. 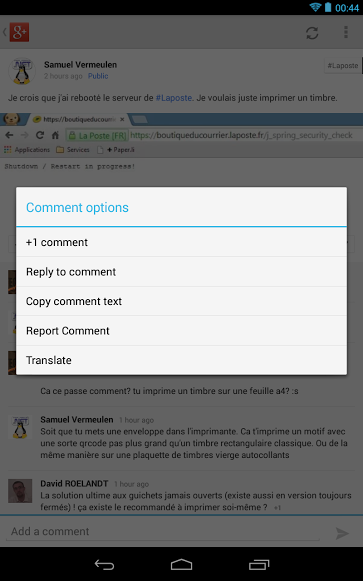 There's a Google Community Translation page that links to a Chrome extension which is not available. I searched for the extension ID and found a Chrome log with information about the extension: "Tool for providing translations and corrections for Google products". The name of the extension is "Google in Your Language". For some reason, when you go to gmail.com and you're not logged in, Google now redirects you to this landing page. 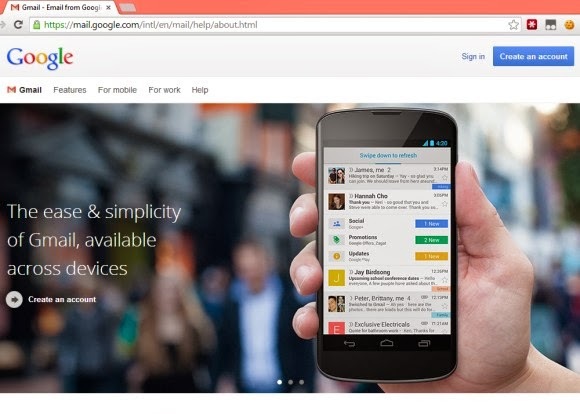 It shows a huge carousel that advertises features like Hangouts, tabs and the mobile Gmail app. There are also links to other pages about Gmail features, mobile Gmail, Google Apps and the help center. Stuck in a corner, you can also find a link that lets you sign in and a button that lets you create an account. When you click "sign in", Google sends you to the new minimalist sign-in page. It looks just like the mobile sign-in page and it no longer includes information about Gmail. Maybe that's why Google shows a landing page. It's interesting to note that you'll only see the landing page once. After signing in, Google will no longer send you to the flashy page, not even when you sign out. 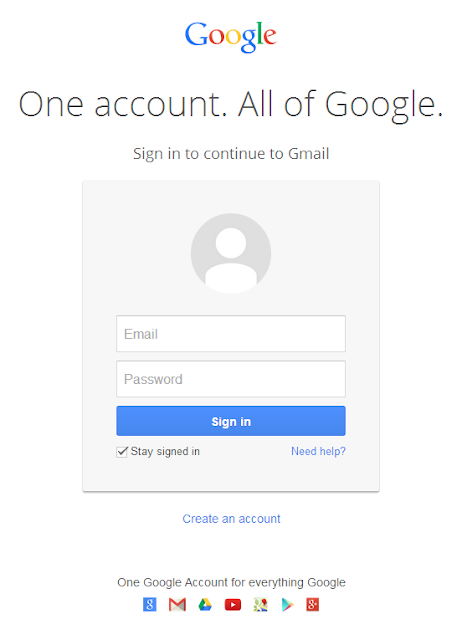 The new sign-in page is very simple and looks almost the same, no matter what Google service you're using: "One account. All of Google." The sign-in page was a great place to inform users about the new features, but now Google will have to find other ways. Consistency is the name of the game at Google these days. If you can't update to the new Google+ version, blame staged rollouts and download the APK file from here. Until now, vanity Google+ URLs were only for popular business, famous people, Google employees and some other special users. Now anyone can get a custom URL and replace the long Google+ URL with something more memorable. Unfortunately, you don't get to choose the URL: you can only pick from Google's preapproved URLs. "If you meet the eligibility requirements, you can get a custom URL for your Google+ account or page. This means you can choose one of the custom URLs Google preassigns to your Google+ profile or page. Depending on the preassigned custom URL, you may also need to add a few letters or numbers to make it unique to you," explains Google. For profiles, you need 10 or more followers, an account that is 30 days old or more and a profile photo. For pages, you need to link your page with your site or use Google+ Local and verify your local business. Pages get Google+ URLs that are based on the site's URL. I got google.com/+GooglesystemBlogspot, but I haven't enabled it. Maybe Google will provide more options in the future. "Once you meet the eligibility criteria, just visit your profile or page to begin the claiming process. If you don't see the option yet, don't worry: we're expanding availability throughout the week, and you'll see the in-product notice as soon as your custom URL is ready," informs Google's Otavio Silva. Google+ continues to grow and the growth rate is impressive, according to Google's stats. Back in December, Google announced that "235 million [people] are active across Google (+1'ing apps in Google Play, hanging out in Gmail, connecting with friends in Search), and 135 million are active in just the stream." Now Google says that 540 million people are active across Google each month and 300 million people are active in the Google+ stream. The number of Google+ users doubled in less than a year. Even if you use the conservative stream data and conclude that Google+ only has 300 million active users, that's still a lot. No other social network had so many users in 2 years and a half. Sure, Facebook has more than one billion active users, but the service got to 100 million users in 4 years. Google has more than 1 billion users, so that's the upper boundary for Google+. It's unlikely that all the Google users will join Google+ and actively use it, but most of them will. 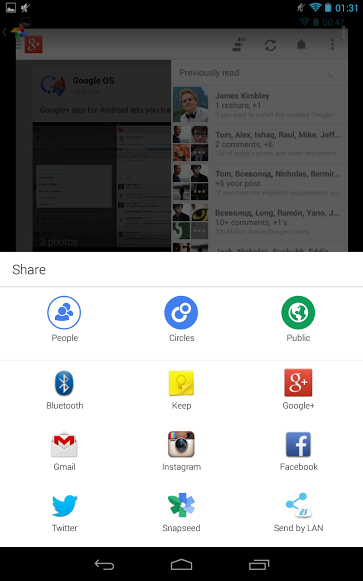 Google+ is integrated with so many Google services and the YouTube integration will bring a lot more Google+ users. Google+ is now at the heart of Google's photo service, messaging service, local search and it will soon power core features of the most popular video sharing service. 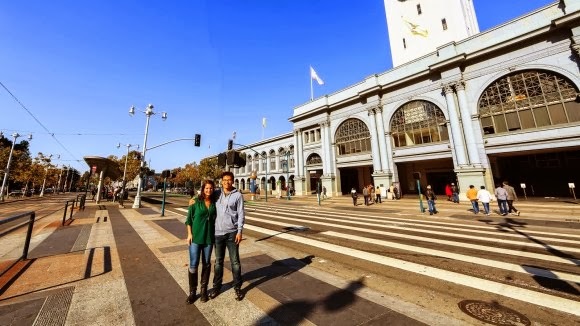 Auto Awesome is a collection of features that create new images which use the photos you upload: panoramas, animations, HDR, better group photos. They're created automatically and Google now even sends notifications when they're ready. There are 3 new Auto Awesome features: 2 of them are only for photos (action, eraser) and the third one is for both photos and videos. Action is great for action photos. "Take a series of photos of someone moving (dancing, running, jumping) and Auto Awesome will merge them together into one action shot where you can see the full range of movements in a single image, capturing the movement in one captivating still." Eraser is useful when you want to remove people from photos. 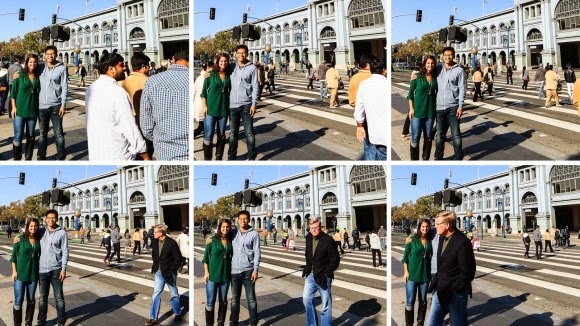 "If you take a sequence of 3 or more photos in front of a structure or landmark with movement in the background, Eraser will give you a photo with all the moving objects removed. It's helpful for those situations when you're trying to get a great shot of a landmark or other crowded place, but want to avoid including all of the people in the background of your photo." Auto Awesome Movie is a bit like HTC Zoe, but it's a lot more advanced. In fact, it's the only Auto Awesome feature that lets you customize the result and the only feature you can trigger manually. Google creates a video that combines some of the videos and photos you uploaded, processes the videos, adds image stabilization and picks some appropriate music. "You can create Auto Awesome movies from the Google Photos app for Android, which are short films created automatically by editing together the videos and photos you capture around an experience. Choose the photos and videos you wish to make into an Auto Awesome movie, and let Google do the rest. You can change the theme, style, background music, or even remove, shorten, or re-order scenes. After your movie is created, you can choose to share or save it. Auto Awesome movies are currently only available for some devices running Android 4.3 and up, including the Nexus 4, Nexus 7, Nexus 10, and HTC One." Auto Awesome shows that advanced features don't need complicated interfaces. It also shows the power of the cloud: Google+ Photos finds your best photos, enhances your photos, it lets you search your photos and it even creates new ones. All of this without buying expensive photo editors and learning how to use them. Back in May, Google announced an impressive search feature that allows to find photos even if they don't include any useful metadata. "To make computers do the hard work for you, we've also begun using computer vision and machine learning to help recognize more general concepts in your photos such as sunsets, food and flowers." 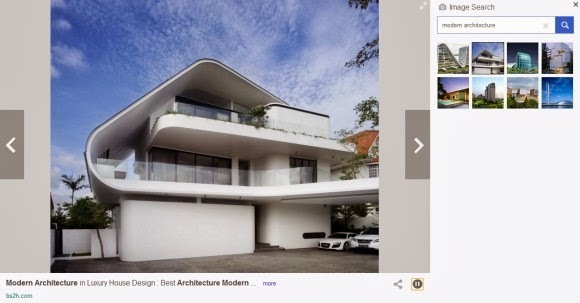 Here are more details: "This is powered by computer vision and machine learning technology, which uses the visual content of an image to generate searchable tags for photos combined with other sources like text tags and EXIF metadata to enable search across thousands of concepts like a flower, food, car, jet ski, or turtle." Now Google announced that it detects more than 1,000 objects. It may not seem like a lot, but it's extremely difficult to detect objects algorithmically and do this with enough precision. Distinguishing between so many objects makes this task even more difficult. 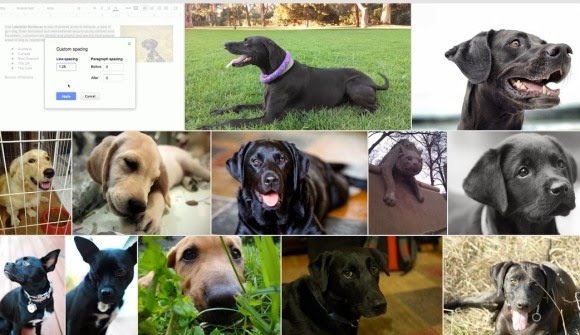 Google can now detect labradors and snowmen, tulips and umbrellas, laptops and shoes. We came up with a set of about 2000 visual classes based on the most popular labels on Google+ Photos and which also seemed to have a visual component, that a human could recognize visually. In contrast, the ImageNet competition has 1000 classes. As in ImageNet, the classes were not text strings, but are entities, in our case we use Freebase entities which form the basis of the Knowledge Graph used in Google search. An entity is a way to uniquely identify something in a language-independent way. In English when we encounter the word 'jaguar', it is hard to determine if it represents the animal or the car manufacturer. Entities assign a unique ID to each, removing that ambiguity, in this case '/m/0449p' for the former and '/m/012x34' for the latter. In order to train better classifiers we used more training images per class than ImageNet, 5000 versus 1000. Since we wanted to provide only high precision labels, we also refined the classes from our initial set of 2000 to the most precise 1100 classes for our launch. I'm not sure if there's some improvement I'm missing. It's likely that the search results are better, but the number of objects has not increased. One of the features I've always wanted to see in Google Image Search is slideshows. 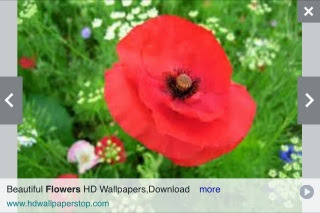 Google lets you quickly go to the next image result using the right arrow shortcut, but a slideshow button would make things even easier. Picasa Web search used to have this feature. I know that webmasters will say that this wastes their bandwidth, so let's get past this. It turns out that Yahoo already has this feature. Yahoo's search results are powered by Microsoft Bing, but Yahoo has its own UI and it does a pretty good job. Yahoo uses the same infinite scrolling interface (Google borrowed it from Bing), but things look different once you click a search result. Images occupy the entire page and you can click the small "play" button at the bottom of the page to start a slideshow or just use the "p" keyboard shortcut. There are some cool zoom effects for big images and, if you use a browser that supports the HTML5 fullscreen API (Chrome/Firefox for desktop and Android, Safari for desktop), you can click the "view fullscreen" button at the top of the page and only see the images. You may want to restrict the results to large images. Yahoo has a similar interface for the mobile search engine and it looks more like the old Google Image Search for mobile. The new Google interface has some benefits if you don't want to see all the results sequentially, but the old UI placed more emphasis on the images. The nice thing is that Yahoo has the slideshow button in the mobile interface, as well. 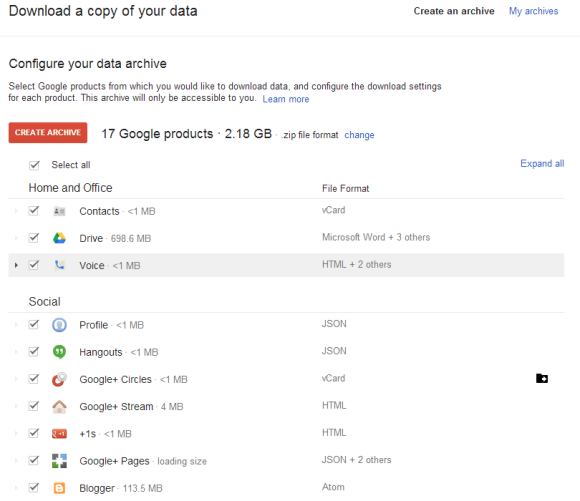 A few weeks ago, Google updated the Takeout interface and it's now much easier to download all your data. The service supports 17 products: Google Drive, YouTube, Blogger, Google+ Photos, Contacts, Hangouts, Location History and more. 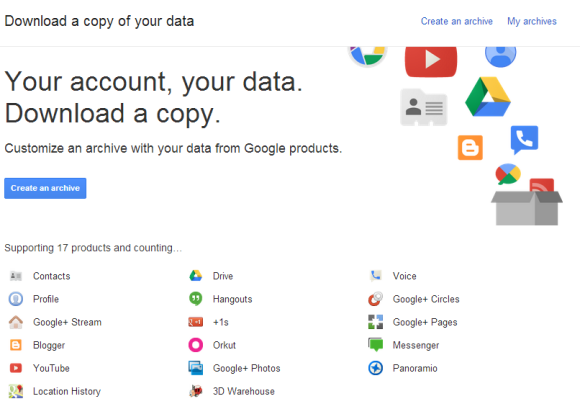 When you click "create an archive", Google selects all the products that are available and shows the size of the ZIP archive you can download. Archives larger than 2GB will be split into multiple ZIP files. You can switch to .TGZ (.tar.gz) or .TBZ (.tar.bz2) tarball files, but you need a software like 7-zip to open them if you use Windows. By default, all the products are selected. You can click "select all" and check the data you want to download. Click each product to find more about the data you download, change the format and sometimes even filter the data. 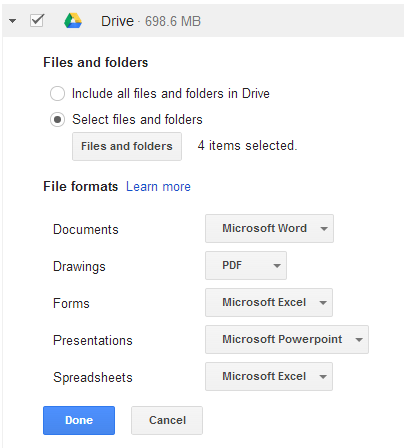 For example, you can download Drive files from certain folders and change the export formats. You can export contacts and Google+ circles as CSV, HTML or vCard and select the blogs and photo albums you want to download. 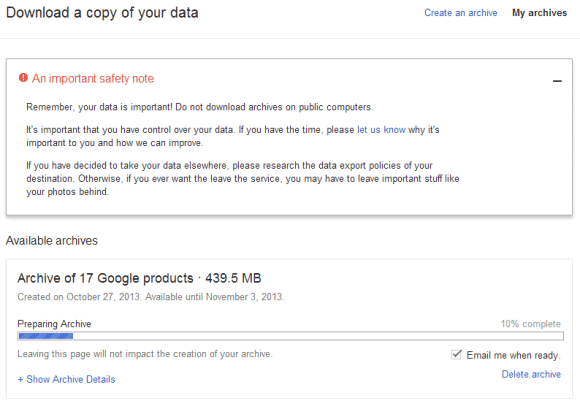 After creating an archive, you'll get an email when it's ready for download and the link will be available for a week. You can find all your archives in the "my archive" section. "Remember, your data is important! Do not download archives on public computers. It's important that you have control over your data. If you have decided to take your data elsewhere, please research the data export policies of your destination. Otherwise, if you ever want the leave the service, you may have to leave important stuff like your photos behind," informs Google. Update: Takeout doesn't work that well. I created 3 archives (zip, tar.gz, tar.bz2) for all the supported Google services and 2 of the archives failed at 100%. The only archive I could download included a 100 KB errors.html with a long list of files that couldn't be downloaded (most of them were Drive files Google+ posts). "We tried our best to get your archive 100% right, but ran into a few problems as we were putting it together. Instead of canceling the entire archive, we've created this list of items that weren't properly included. Click any of the names to be taken directly to the item in question, and you can download it from there," informs the page. I also noticed that not all my YouTube videos were downloaded. 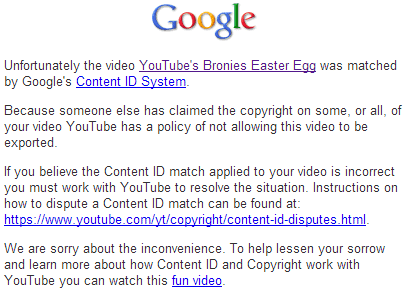 For some of them, YouTube downloaded HTML pages which mention that they were matched by the Content ID system. "Because someone else has claimed the copyright on some, or all, of your video YouTube has a policy of not allowing this video to be exported." It's probably because I used YouTube's "add music" feature. Google found a new way to get people online: a service called WiFi Passport that's currently tested in Jakarta (Indonesia) and allows people to connect to Wi-Fi hotspots for free or at affordable rates. 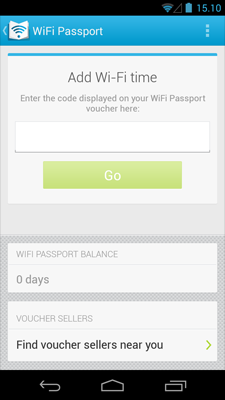 "WiFi Passport powered by Google is a fast, easy and affordable way to get online when you're out and about in Jakarta. To use it, just get a voucher, sign into your Google account, enter the code then head to the nearest participating hotspot. It's exclusively available for Android users and works across official Android smartphones and tablets running version 2.2 (Froyo) and above." "After connecting, you'll be online for the next 24 hours so long as you're in a hotspot. You can use up to 3GB of video, music, photos and other content in a single day – or 7GB over seven days and 10GB over 30 days. 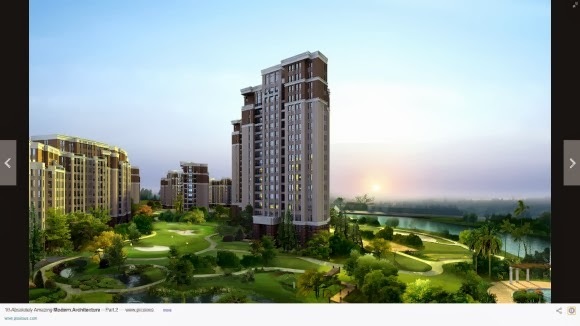 With hotspots around the city, you can connect with buddies, watch the big matches, or stay in touch with the office all day long." There's a free voucher that lets you use WiFi passport for 10 days and there are vouchers that cost $1.82 and $4.55 for 20 and 50 days of use. 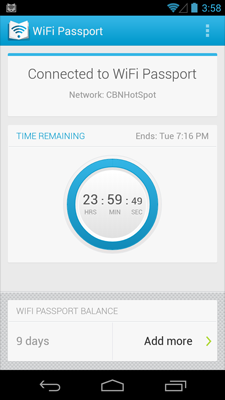 Here's the Android app that lets you add Wi-Fi time. 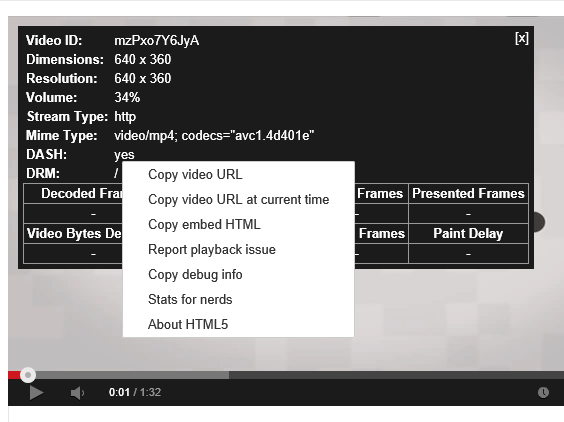 I've mentioned in the previous post about Media Source Extensions and YouTube's HTML5 player. For now, only Chrome, Opera and IE11 for Windows 8 support Media Source Extensions. If you're using Firefox, Safari or an old version of IE, you're out of luck. Why is this important? YouTube switched to adaptive streams in the Flash player and now does the same thing for the HTML5 player, but this requires Media Source Extensions. The adaptive DASH player uses separate chunked streams for audio and video, so that YouTube can switch the stream to a lower or higher bit rate, depending on the network bandwidth. A few days ago, YouTube removed the non-DASH streams for 480p and 1080p. This means that you'll no longer be able to watch 1080p videos in YouTube's HTML5 player if you use Firefox or Safari. Here's an example of video that includes the 480p and 1080p options in the Flash player and the DASH HTML5 player, but not the regular HTML5 player. Maybe this was one of the reasons why YouTube decided to make the video quality drop-down less visible. Update: Mozilla plans to add support for Media Source Extensions. "Timeline wise we are hoping to support enough of the spec to support the YouTube production player by the end of the year but will need to collaborate with YouTube to ensure that we're focusing on the right things." 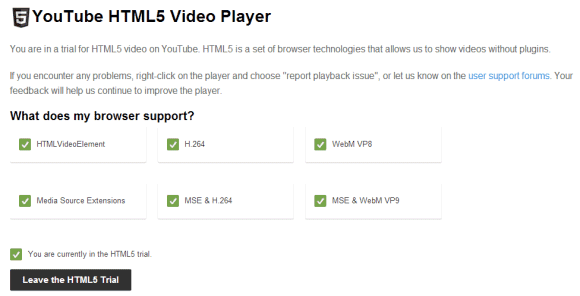 YouTube has recently updated the HTML5 player's page and now shows if your browser supports Media Source Extensions for H.264 or WebM VP9. I loaded the page in various browsers and Chrome is the only browser that supports both containers and Media Source Extensions. Internet Explorer 11 also supports Media Source Extensions, but you need to install a Google software to play WebM videos in IE. "IE11 introduces support for MPEG-DASH media streaming through HTML5 Media Source Extensions (MSE). MSE extends the video and audio elements that you can dynamically change for a media stream without using plug-ins. This gives you such things as adaptive media streaming, live streaming, splicing videos, and video editing. This feature is not supported in IE11 on Windows 7," informs Microsoft. With the introduction of Media Source Extensions and Encrypted Media Extensions, sites like Netflix or Hulu can switch to HTML5 players and no longer rely on plug-ins or separate apps. The downside for users is that it will no longer be easy to download videos from HTML5 players, since the DRM code will generate streams dynamically. Back in 2010, Google launched a feature that allowed local businesses to add yellow markers to the map and promote their websites. Tags were actually ads that were placed inside local search results. It was a weird way to mix organic search results with ads and this feature was discontinued in 2011. 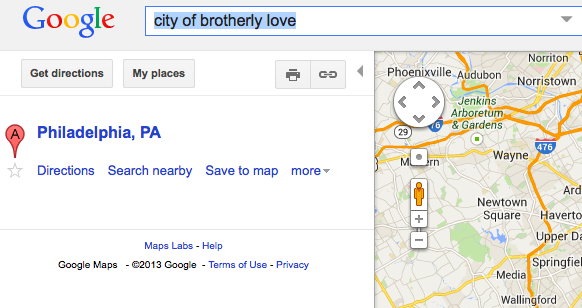 Now Google tests a similar feature for web search results. Instead of adding links and markers, advertisers can add huge banners above their search listings, but only for navigational searches. "The banners allow brands to take over the ad space on branded search queries and essentially present a branded search results experience," reports Search Engine Land. "The team at Synrgy has learned from a source at Google that the brand image experiment is live with about 30 advertisers, including Crate & Barrel and Virgin America. 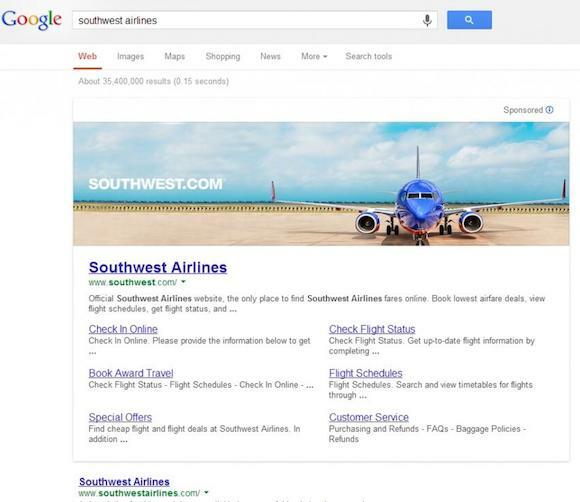 The test is showing for less than 5 percent of search queries," mentions Barry Schwartz. 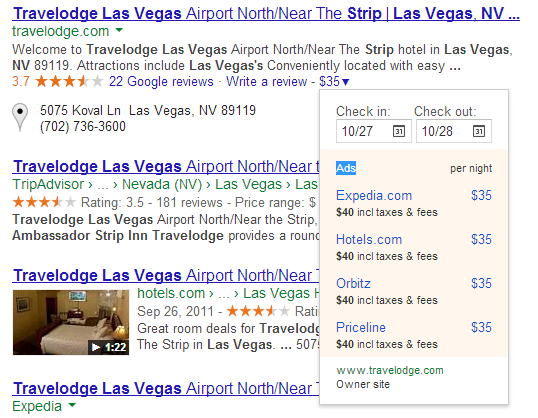 Basically, instead of displaying ads for competitors, Google shows a huge banner for the top search result. "We're currently running a very limited, US-only test, in which advertisers can include an image as part of the search ads that show in response to certain branded queries. Advertisers have long been able to add informative visual elements to their search ads, with features like Media Ads, Product Listing Ads and Image Extensions," explained Google. Well, that's not exactly true. The images are added to the search results, not to the search ads. Even though the top search result and the corresponding sitelinks are grouped with the image ad and the entire section is labeled "sponsored", this is actually the top search result. The truth is that Google has continually added features from the organic search results to the search ads and Google has also started to mix search results with ads. 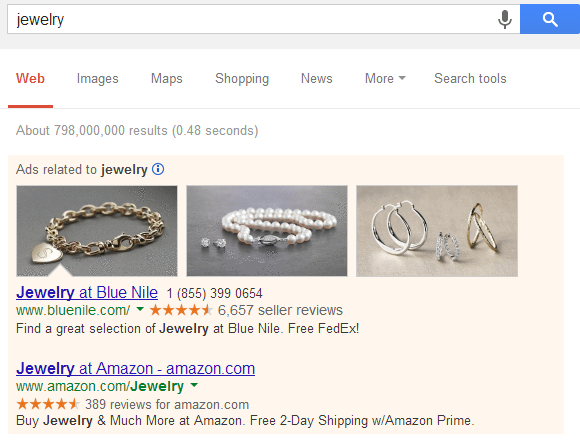 For example, Google Shopping results are now ads, since companies need to pay to be included in the list of results. Booking links from flights search and hotel search are sponsored links. For some searches, Google shows so many ads that you have to scroll to find some actual search results. 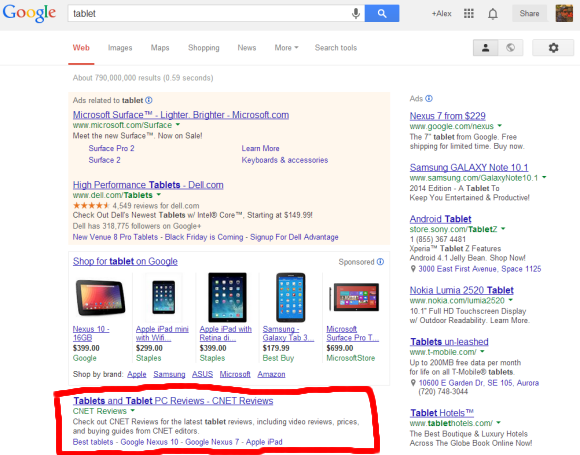 Here's a screenshot of a Google search page for [tablet]: I highlighted the only organic result you can see without scrolling down. The Chrome window was resized to 1063x890, so there's enough vertical space. Most laptops sold today have lower resolutions: most likely, 1366x768. 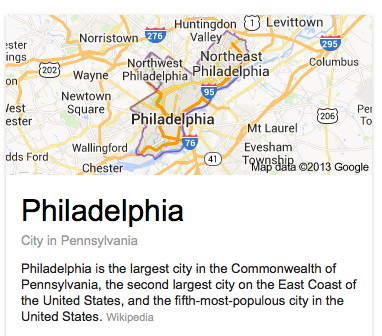 Here's a cool Easter Egg: search for Philadelphia, click the map thumbnail from the right sidebar and notice that your query is replaced by "city of brotherly love", one of the nicknames of the city. "Popular nicknames for Philadelphia are Philly and The City of Brotherly Love, the latter of which comes from the literal meaning of the city's name in Greek," informs Wikipedia. Google+ had a cool feature that allowed you to save searches. It's no longer available and all your saved searches will be removed in a few weeks. Google shows this message when you click one of the saved searches: "Saved searches are going away. Bookmark this page on your browser to save your Google+ search for later." There's even an article that explains how to bookmark a search results page. 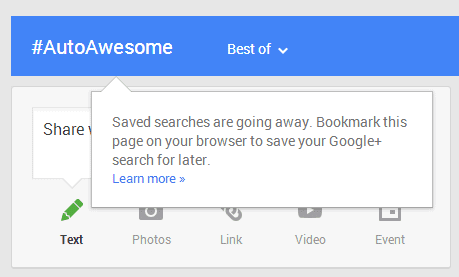 "Browser bookmarks replace the earlier 'Save this search' option in Google+. You can access any existing saved searches from the Home > More menu until November 15, 2013." I used this feature to save searches like #autoawesome, #googleplusupdate.